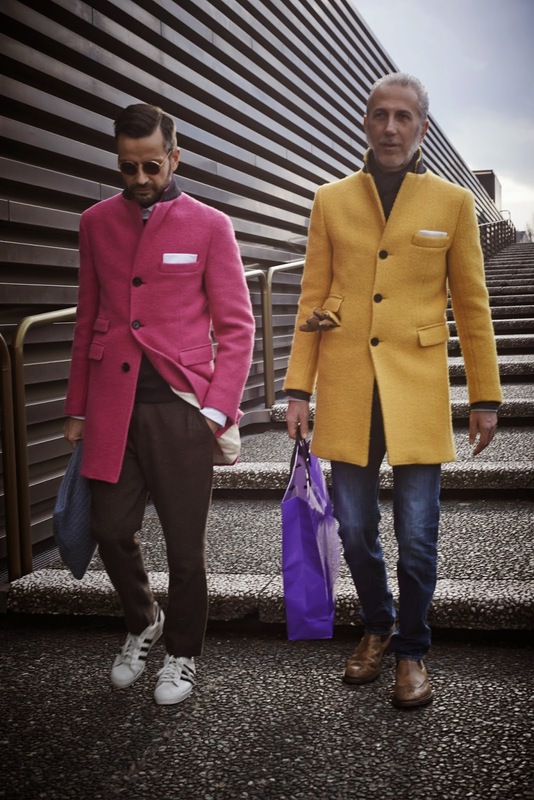 Pitti Uomo - the ultimate menswear festival - has recently wrapped up it's 87th edition. 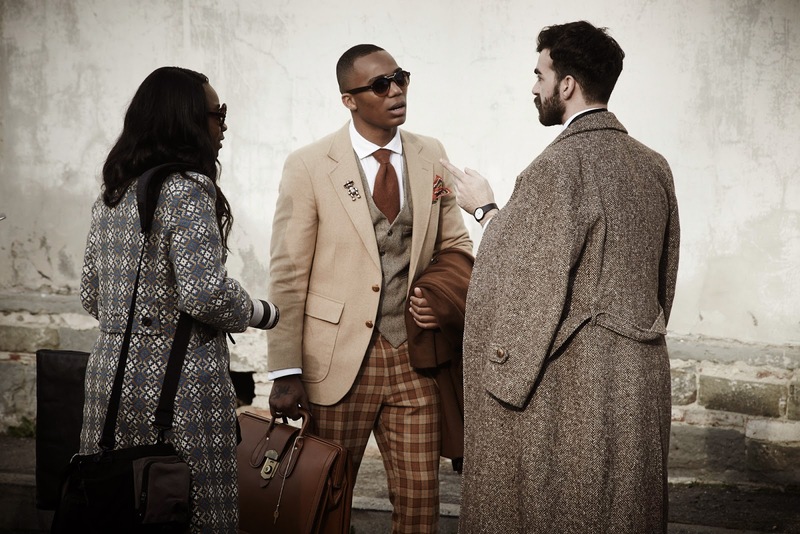 Held in Florence twice a year, January and June, the event is one of the world's biggest and most famous menswear trade shows. 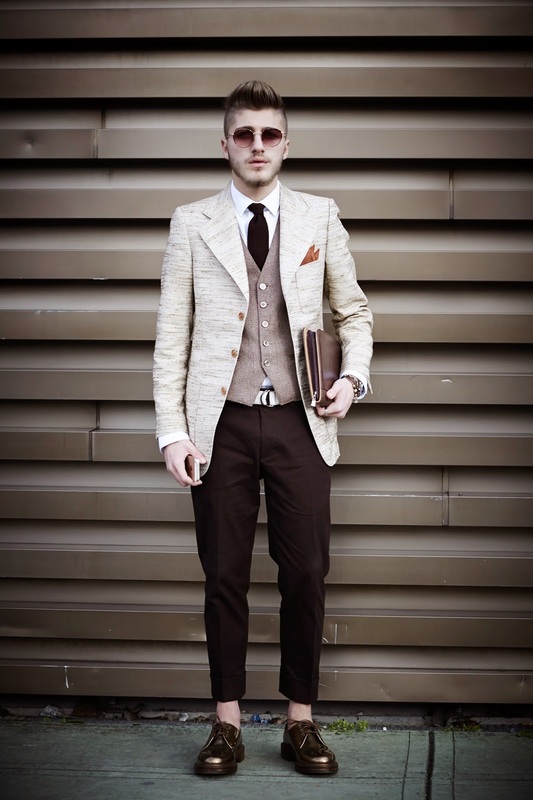 It is where new lines of men's clothing and accessory collections are showcased to the world and where trends are born. 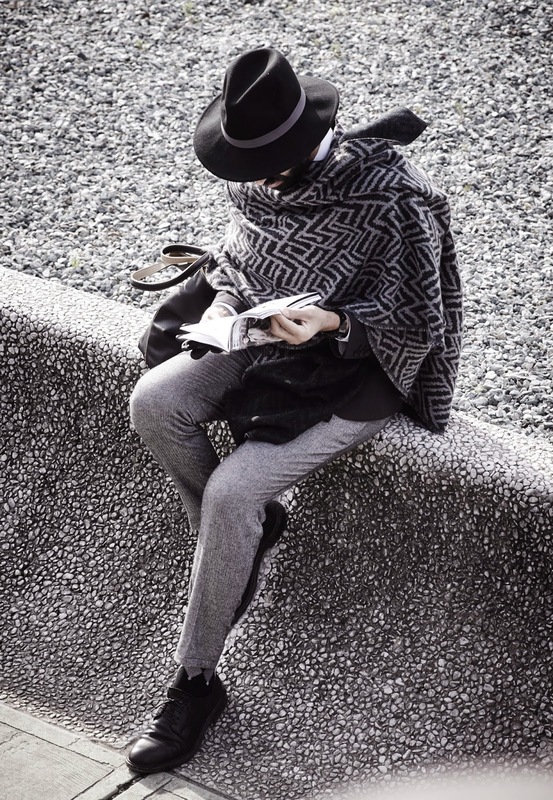 Known for attracting an elite menswear crowd, one can be sure they will spot beautiful menswear designs not only on the runways, but just about everywhere on the grounds of the event. 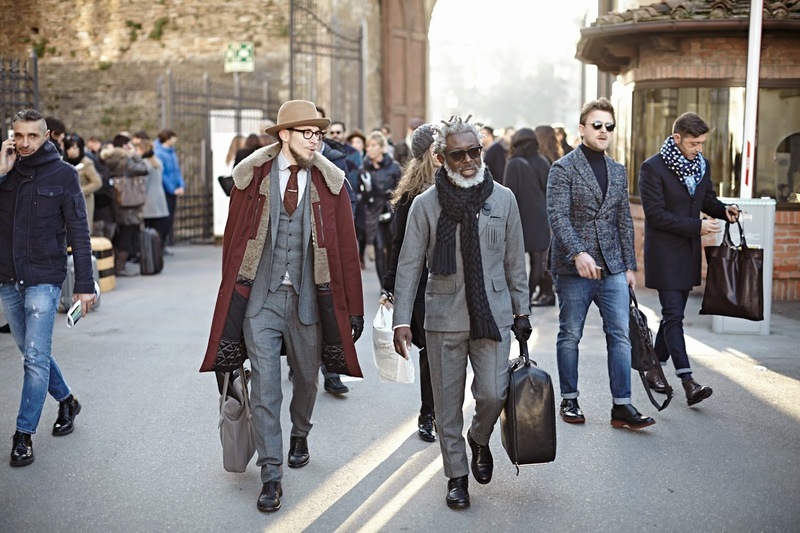 With the event's title-theme, "Walkabout Pitti," encouraging the concept of travel by foot, photographers surely kept busy snapping photos of attendees strutting their well suited stuff. While there were amazing looks from all types of styles noted at the festival, it was the fine, classic pieces that struck me most. Well tailored suits, strong overcoats, small-checkered patterns, creative scarves and charming hats were among my list of preferred trends.